Total Tippins Takeover: willow house giveaway! but, fear not, even if you don't win you can still order one (for a GREAT price) from Lauren's website: www.laurenfresh.willowhouse.com or by clicking HERE. Wanna know how you can win??!? 1. For one entry, go to Lauren's willow house site (www.laurenfresh.willowhouse.com) and come back and leave a comment with your favorite item that would for sure be on your "wishlist." 2. For a second entry, blog about this giveaway and leave the link to your post in the comments. 3. For a third entry, tweet about this giveaway linking back to this post. Be sure to mention @lefresh1 &/or @mrsamytippins in your tweet. *You can still enter even if you don't have a blog, just make sure to leave your email address in your comment so we know how to contact you. 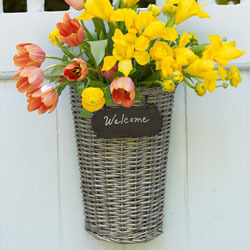 *I was not compensated in any way for this giveaway, other than the Willow House Welcome Basket to give to one of you! All opinions are mine. *I will use random.org to find the winner and announce sometime 1/21. If the winner does not contact me within 48hrs, I will use random.org to choose a new winner. Oh! And if you have a chance, click on over to Lauren's personal blog, too! She is the sweetest thing with lots of fun recipes (good 'ole SOUTHERN recipes! ), book reviews, and tales of her precious little James....and baby brother on the way! Thank you Lauren for sponsoring this giveaway!